When Abraham Lincoln overhears a classroom of kids say 'history is boring,' he decides to teach them a lesson. Lincoln escapes from 1860--to pursue his dream of becoming a professional wrestler! Now siblings Doc and Abby have to convince Lincoln to go back to Springfield, Illinois, and accept the presidency . . . before everything spins out of control! 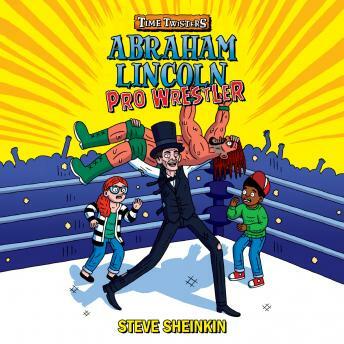 Abraham Lincoln, Pro Wrestler is the first installment in the Time Twisters series from acclaimed author Steve Sheinkin. Also check out Abigail Adams, Pirate of the Caribbean!